Sometimes the best things in life are completely unplanned, which is great, but not where our makeup is concerned. We don’t know about you, but when it comes to our faces we like to know that we’re ready for just about every occasion (and guys wonder why our bags are so big! ), so we’ve decided to create a super easy tutorial that helps you take your look from day, to night – whether you’re heading straight from work to a night on the town with your work mates, or simply stepping out for an impromptu meal with your other half. Here’s how to do it (and fast). 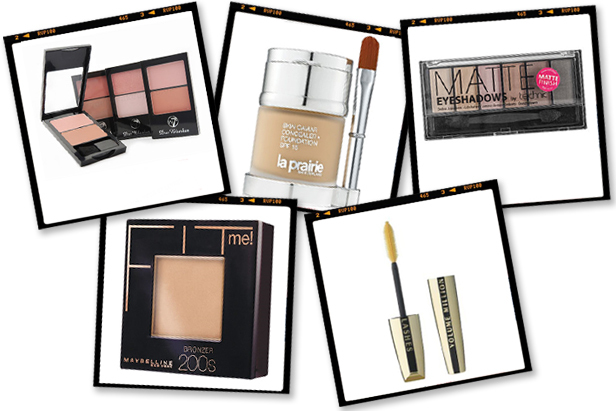 With most makeup looks, the first step is to lightly conceal and perfect the skin using a foundation and concealer. Fed up of buying two separate bottles? Our latest obsession comes in the form of the La Prairie’s Skin Caviar Foundation and Concealer, which has pretty much everything you need to create a flawless skin finish, in a flash. Of course, no makeup look is complete without a quick dusting of bronzer. In this look, Steph is using the Maybelline Fit Me bronzing powder in 200s, as it’s great for both warming up the skin as well as contouring. And it’s pretty light on the purse strings too! Want more of a lift? Add a slight pop of colour tot he apples of the cheeks using the W7 Blusher Duo and blend upwards. Next, dust a light wash of warm brown shadow to the eyelids to help define the eyes and make those pupils pop. Follow up with a quick stroke of mascara on the outer corners for a natural finish. Complete the day look by lightly filling in the ends of the brows with Clinique’s Superfine Liner. Voila! 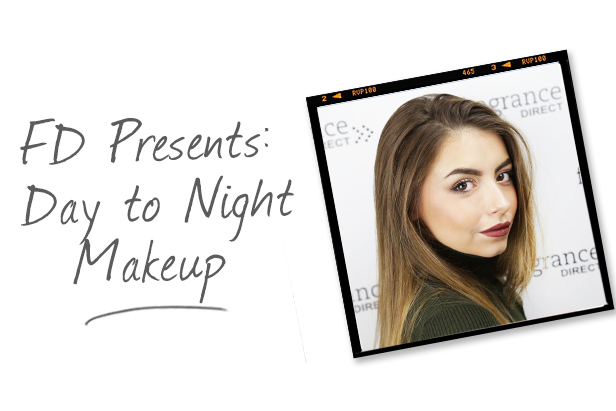 For the night time look, try adding a little extra coverage to the look by going over those ‘problem’ areas, like any blemishes, dark circles or scars. Lightly pat congealer over the top and blend in using the fingers for a seamless finish. Continue to bronze up the face even more using the same Maybelline Matte Bronzer. Feel free to contour to your hearts content, or just dust lightly over the face for a warmer complexion. Add a more intense pop of blush to bring the whole look together. For the eyes, the trick is to keep it simple, but smokey. Darken the lids by using a dark matte brown shadow on the outer corners. Blend the dark product into the shade already on the crease for a rock-chic look. Add a subtle wing to the corners of the eyes using the BareMinerals Smoke and Define liner and deepen the look by adding another coat of mascara to the top and bottom lashes. Complete the look by filling in the lips with Rimmel’s Exaggerate liner in the shade Addiction, let you’re hair down and you’re good to go! What’s your go-to evening look?